In the early days of Nintendo you used to see a lot more licensing of their stuff thanks to Nintendo of America who knew it was a great idea to have your brand in different places but that liberty NOA had was taken away by Nintendo Co. LTD in japan and they decided to be much more conservative with their use of their Intellectual Property. Nowadays Nintendo is more willing to license their stuff and we’ll see mSore and more in the coming years but let’s take a look back on the first three Super Mario Bros Cartoons that the late 80s and early 90s gave to us. The first show came out in the earl NES days of Mario and for this reason there wasn’t much lore they could use for their show as only the original Super Mario Bros. and Super Mario Bros. 2 (USA) were out. 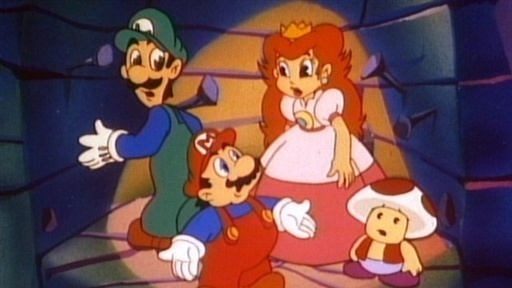 The backstory of them being plumbers for Brooklyn and getting trapped in the Mushroom Kingdom comes through dialog references in various episodes as there’s never a real origin episode. Since there isn’t much story to work with they use the basic King Koopa tries to conquer ‘place’ or re-enacting classic stories from history/fiction/etc. This is where the show shines as it can be so random and some of their takes can be a lot of fun. 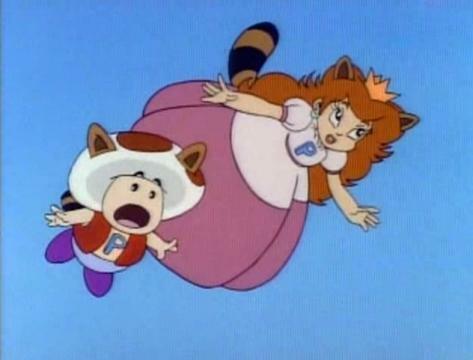 The fusion of SMB1&2 is interesting and gives us Princess Toadstool and Toad being main characters alongside Mario and Luigi. 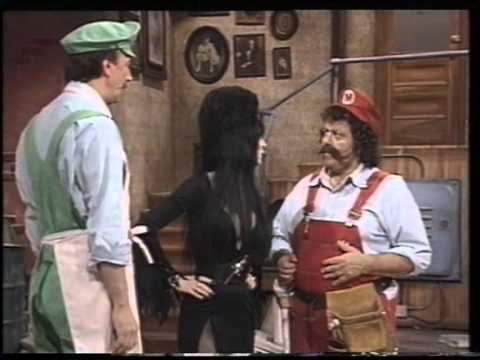 The show also includes some live action segments with Danny Wells and Captain Lou Albano as sort of a prequel before they went to the Mushroom Kingdom. These segemnts are really silly but like I mentioned in my “Do the Mario” tribute, it’s that cheesyness that makes it memorable and interesting to watch. I forgot to mention this show is constantly making references to the Mario Bros. being from New York and Italian. The show continued this time adapting Super Mario Bros 3. The story is told through the intro about how King Koopa had been banished but returned and this time with his Koopalings. 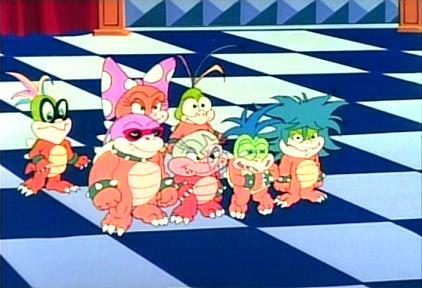 This time the show is more focused on the Koopalings doing something to cause trouble and the show isn’t as random with its stories which is both good and bad but it’s a little better written. It keeps Princess Toadstool and Toad as main characters alongside the Mario Brothers so in a way it’s almost as if this show inspired Super Mario 3D World as you have all 4 characters in the adventure at the same time and using up power ups not to mention you see the enemies using the powerups too like in later Mario games. 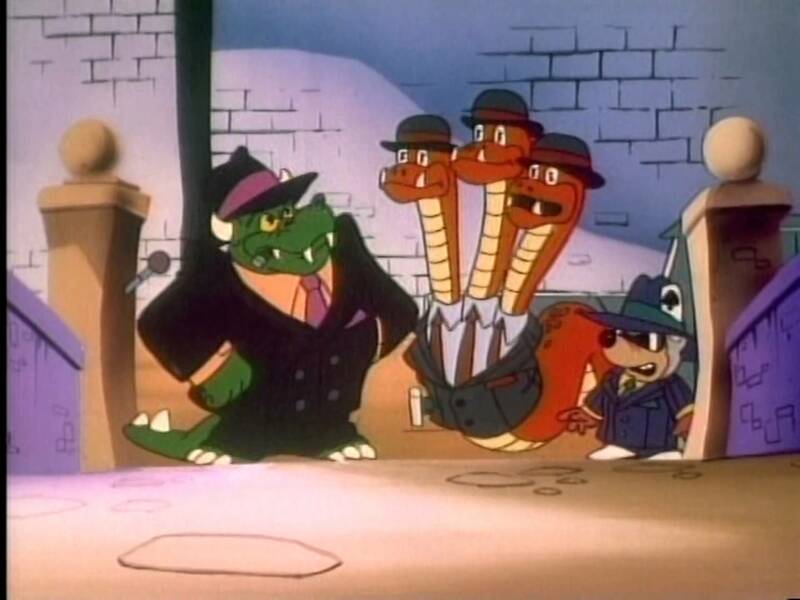 It’s worth noting that while the Mario Bros. wanted to find a way to go home in the previous show by this time they found a way to go to the real world and back without any problems, we even see the villains do this on various occasions. 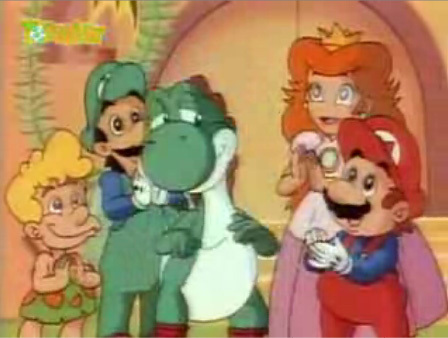 In the last episode we get a flashback episode that fills us in on what happened and after the events of the previous show; King Koopa retreated and the Mario Brothers followed him to a pre-historic place full of cavemen and dinosaurs. Toad is sadly gone but he’s replaced by Yoshi who is alright, we also get a caveboy that sticks sticks around for a few episodes and adds little to the show. The show is animated differently and looks more modern even if the character designs are worse; This aired alongside the last season of Captain N however Super Mario World didn’t get the downgrade that Captain N did. This show does feel more like an early 90s show in terms of plots. So yeah don’t expect amazing plots and it loses some of its originality that it had in the previous two shows. It’s worth pointing out that King Koopa calls himself “Bowser Koopa” as a way to fix the name change. The show themselves vary in quality from episode to episode and you can have some interesting episodes because of how weird they are and some that are just bad. Super Mario World definitely got the worst though but all shows have their bad apples and as mentioned their fun quirky episodes. What I really enjoy about the shows is how much they tried to incorporate from the source material; You have tons of music from SMB1,2,3,World, the backgrounds of the show are clearly based off different worlds from the video games etc. This might not be the most accurate portrayal of how Mario is seen as now but it’s an accurate portrayal of what Mario was then. I didn’t really watch any of these shows as a kid so no nostalgia here, if you’ve seen a few clips of the shows you know what to expect from them. The show had enough of an influence it sort of got a game made out of it with Hotel Mario, in fact those cutscenes can be seen as an extra episode of this Mario cartoon trilogy..
Next story Pokemon & Batman crossovers on KidsWB!